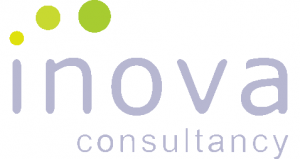 Inova has been running since 2001 and provides consultancy services in the area of entrepreneurship and career development, with a focus on diversity and equal opportunities. In particular, our work has focused on supporting those who are underrepresented or who face particular challenges to fulfil their potential in a professional setting. For example, we have worked extensively with women in non-traditional fields such as Science, Technology, Engineering & Maths (STEM) and our director, Marina Larios, is president of WiTEC, the European Association of Women in SET. 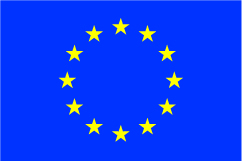 We also work with a wider target group and have provided training programmes funded by the European Commission to support others to become entrepreneurs or build careers following challenging times. This includes NEET young people, those aged 50+ and women who have been victims of violence, trafficking, homelessness or abuse, to name a few. Our programmes use coaching and mentoring to develop the ‘soft skills’ needed to be successful in business. We provide one to one coaching, workshops and Enterprise/Career/Mentoring Circles™ – Our Circles are a series of products developed by Inova which combine mentoring, coaching and action learning to support individuals to reflect on and develop either a new or existing business, change or progress in their career or consider their personal life goals. This methodology was recognised by Aberdeen University business academics as a successful programme for the development of entrepreneurial skills. KMOP is one of the oldest Greek NGOs with 40 years of accumulated experience in the provision of services to disadvantaged groups. KMOP’s objectives include: stimulating the integration and active participation of disadvantaged groups; combating social exclusion and promoting social cohesion and equality; enhancing the wellbeing of vulnerable groups in a sustainable manner by strengthening their capacities and increasing their access to resources; and raising awareness on social policy issues. In its effort to meet the above objectives, KMOP has over the years developed a number of small and large scale actions and interventions pertaining to social welfare and health, employability and human rights protection focusing on the prevention of multifaceted violence (gender based violence, hate speech), different forms of intolerance (racism, xenophobia), the combat of trafficking and the protection of victims’ rights, scientific research and the development of know-how in social policy issues, etc. Apart from direct provision of services through decentralised community based facilities (Three Group Houses and one Day Care Centre for mentally ill as well as counseling centers in various towns), KMOP is actively involved in both national and EU/international projects addressing social issues particularly focusing on low-skilled youth and long term unemployed, victims of violence and trafficking, disabled, elderly, migrants and minorities, and brings to the partnership significant technical capacity in the design and implementation of more than 100 national and EU/international projects and initiatives. Crystal Clear Soft (CCS) is a software development company actively researching innovative uses of state of play technology in digital publishing, education, training and knowledge dissemination. Offering a turn-key solution, from conceptualization and instructional design to testing and deployment, CCS has developed applications used in thousands of classrooms all over the world! CCS is a mainly commercial company with international presence and an impressive list of customers, especially in the publishing and corporate training sectors. ΑNDID is the Italian Association of Dietitians. It was founded in 1985 and has approximately 1000 members. ANDID has an Executive Committee comprised of 11 members; a Scientific Committee comprised of 13 members and over 30 members who are Regional Representatives. ANDID’s mission is to support the role of dietitians in improving nutritional health in Europe and reducing inequalities. To achieve its mission it supports the highest quality of dietetic education, professional practice, research activity and partnership. Confederation of the Association of Dietitians (ICDA). ANDID collaborates with other associations of health professionals and with the Nutrition Scientific Societies, with institutions, universities, NGOs and the food industry. ANDID will continue to pro-actively initiate and grow partnerships in order to improve nutritional health, reduce socioeconomic health inequalities and contribute to economic prosperity.